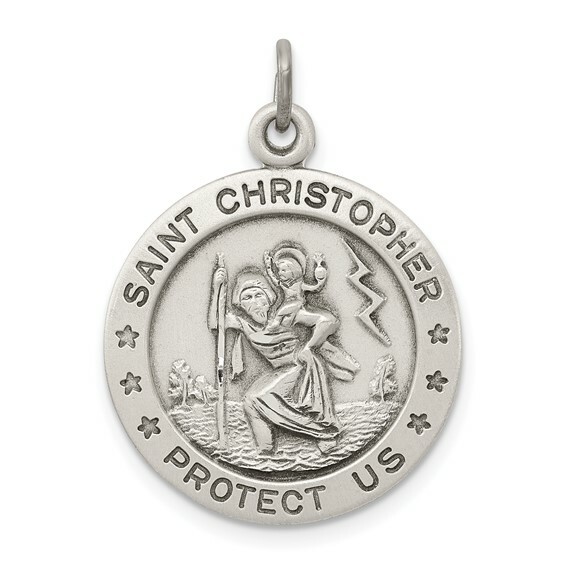 This round sterling silver St. Christopher medal has an antique finish and is decorated with six stars. 3/4 inch tall by 3/4 inch wide without bail. This item is the size of a penny. Weight: 3.4 grams. Chain not included. The metal was exactly as described and we are very happy with the purchase.